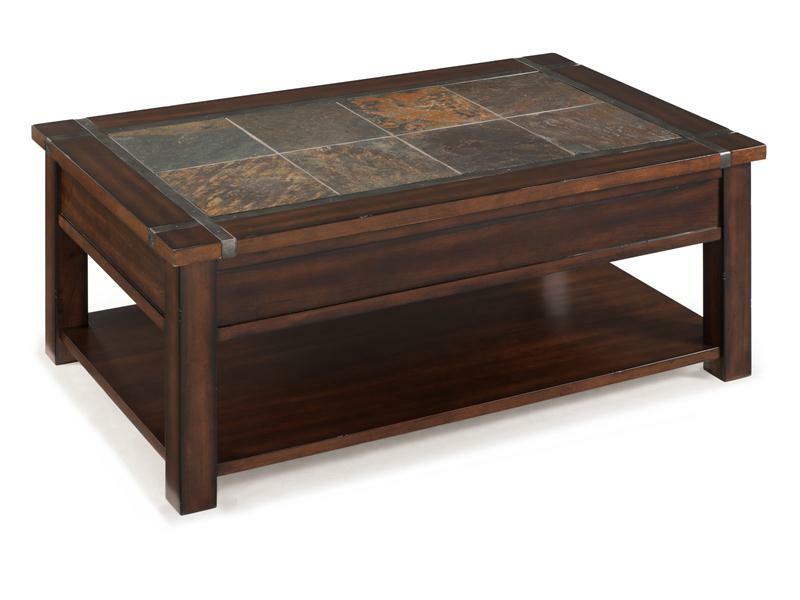 Materials: Cherry Veneer, Hardwood Solids, Metal, Slate, Casters, Pewter Hardware Finish. All piecese are constructed of cherry veneer and hardwood solids. All pieces feature bottom shelf except chairside table features 2 shelves. Cocktail table features lift top and casters for easy mobility. Sofa table features 2 drawers.